Emitations is known for beautiful jewelry inspired by celebrities and pop culture. They now have a collection inspired by the Hunger Games. 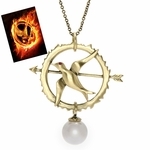 Some of the pieces are directly related to the books and movie like the Mockingjay pin. 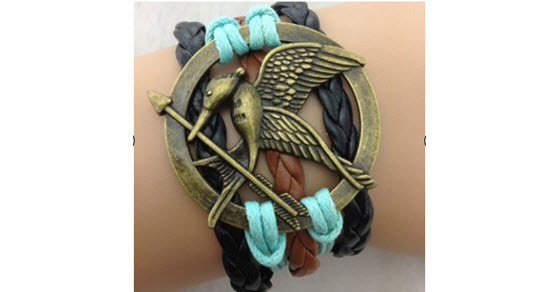 Others like the arrow bracelet and necklace are reminiscent of the character of Katniss. In addition, they have replica jewelry for styles that Jennifer Lawrence has been seen wearing outside of the movie. 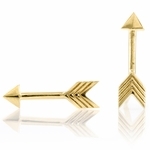 You can find more of the Hunger Games Inspired Jewelry from Emitations. Plus use code affjuly7 to take 7% off any order before the end of July. 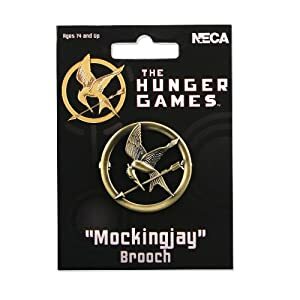 NECA has started releasing new Hunger Games movie merchandise and there is so much of it that we cannot even fit it into one post! 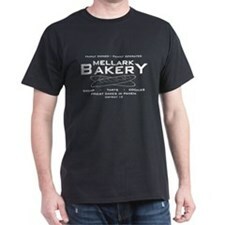 For a full listing, check out our Hunger Games merchandise page. 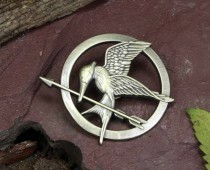 And the most important….the Mockingjay Prop Replica Pin! That is a “must have” item if you are putting together a Katniss costume. It’s made to look just like the one from the movie. The Hollywood Video site (with a copyright of Lions Gate Films) has all of the merchandise listed but if you click on any of it, it just takes you to Amazon to make your purchase. All of the items are showing as “temporarily out of stock” but with prices. If you place them in your cart, you will be among the first to receive them when they start shipping. See the entire new Hunger Games merchandise collection at Amazon.